Thunderbolt has been serving the hard working people of the greater Houston area for over 85 years. Therefore we conquer with transmission repairs and remanufacturing. We have professional experience with nearly every type of engine. Most of all from any make or model you can imagine. That includes all domestic and foreign engines. The transmission is right on the heart of your vehicle. As a result it’s something that deserves only the best maintenance and care. Trust the professionals at Tbolt to get your transmission repairs done right. We pride ourselves in doing honest quality work that will last you for years on end. Having issues with your transmission? Keep an eye, or an ear, out for the warning signs of transmission problems. Most of the time you can identify trouble before it strikes. Watch out for a burning smell coming from the engine, stutters when in idle or while accelerating, odd noises coming from the engine, or especially if you notice fluid leaking from the vehicle. These are common signs that something could be wrong with the vehicle, and many could mean you need transmission repair Houston TX. Here is a little more information on Transmission Problems You Can’t Ignore. Before you risk having your vehicle breakdown, let our team at Tbolt fully optimize your transmission to keep you on the road and moving forward. 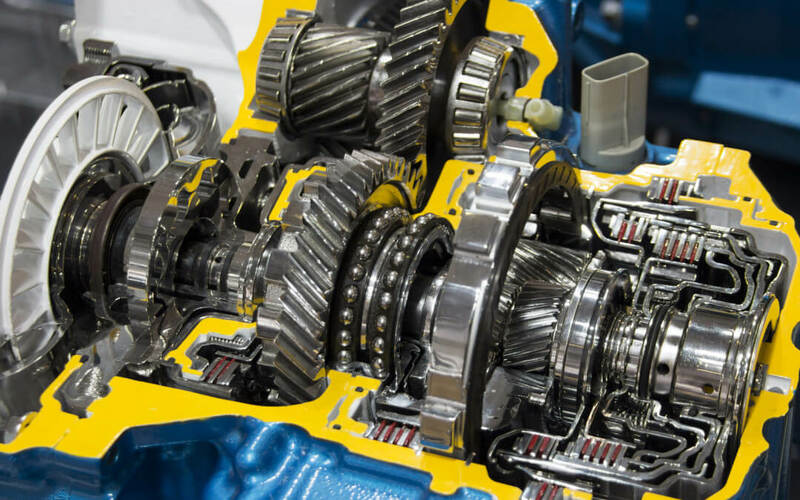 All of our repairs are performed by our professional team of mechanics and technicians to guarantee that you’re getting your transmission back in perfect optimized condition. We only work on hardest on transmission repair Houston. After repairs, we put all of our transmissions through diligent tests to ensure that everything is functioning perfectly. That way you won’t have to see another transmission repair Houston for a long time. So not only does Thunderbolt specialize in transmission repair Houston TX, but we also produce the highest quality remanufactured transmission. We keep almost all transmissions on site. If we don’t have your exact component, we are capable of fully remanufacturing a transmission for you. We get your rebuilt engine right back to good as new if not better. We know the importance of your vehicle and why you need it up and running immediately. It’s your means of transportation to work, school, social, you name it. That’s why Tbolt has been working for Houston for 84 years to bring you the best work in the fastest time frame. We’ll get your car running just like off the lot. Got any questions or comments Houston?